It's Friday, and that means its time for another Handmade Confession! 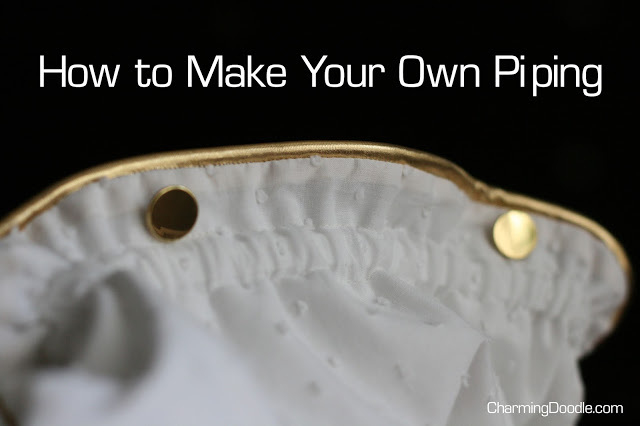 This week, Elisa from Charming Doodle is here to share how she changed a sewing fail into sewing fabulous. And she's sharing a sweet little deal for us at the bottom of this post! Before we get to the fail... let see some of Elisa's awesome work. 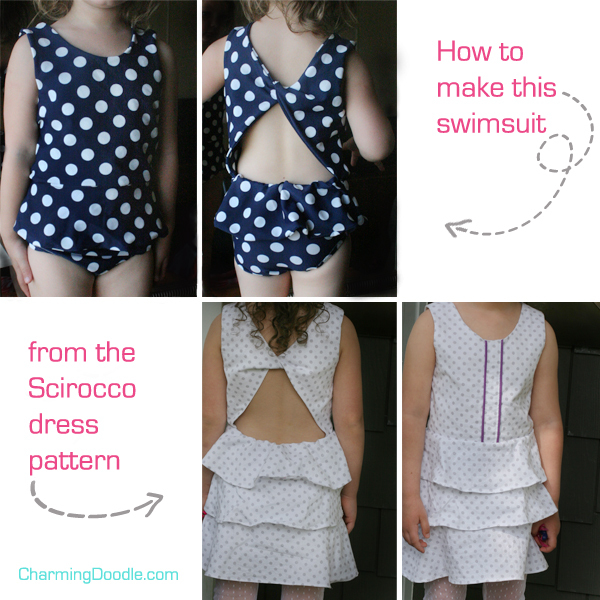 You probably have seen her fantastic Scirocco Dress Turned Swimsuit. Now lets hear Elisa's biggest sewing secret!!! It's confession time. I just love this Handmade Confessions series and am excited (while also nervous and embarrassed) to make a confession to you today. So here it is: I am impatient when I sew. 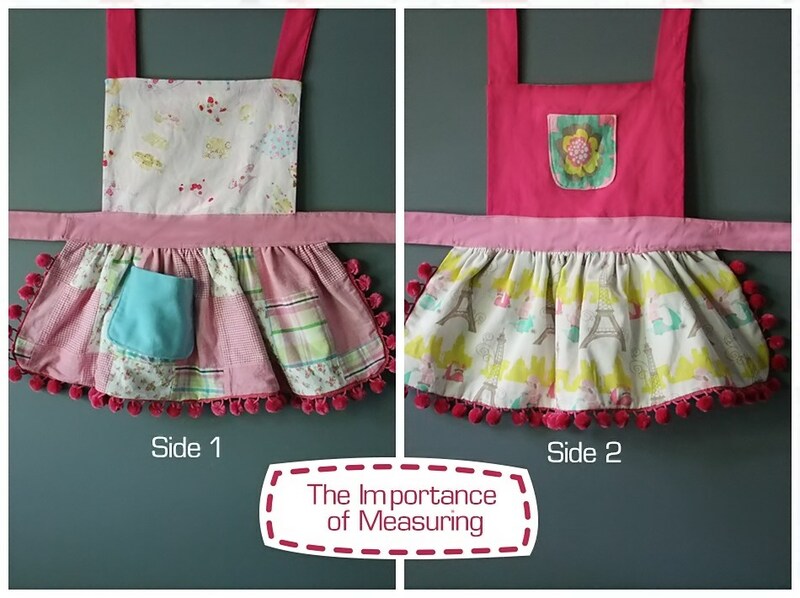 So impatient, in fact, that I often don't stop to do important things like measuring or double checking the placement of something before I sew it. I use the 'eyeball' method wwwwaaaaaayyyy too often. 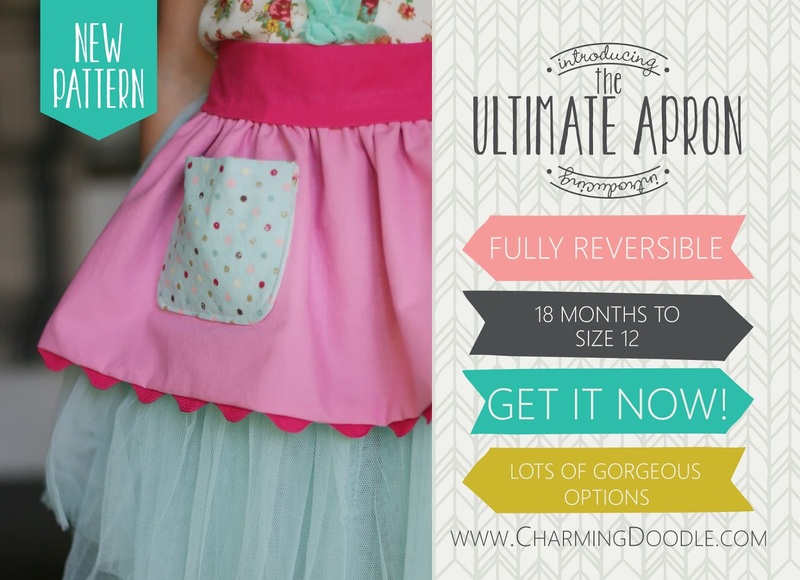 I've been working on the release of a new sewing pattern called The Ultimate Apron. I've been over-the-moon excited about it because it's my very first pattern...and you'd think that writing a pattern would make me extra careful to measure and be really accurate as I made pattern samples. Now my cheeks are getting red and I'm starting to giggle nervously as I share this total flop! 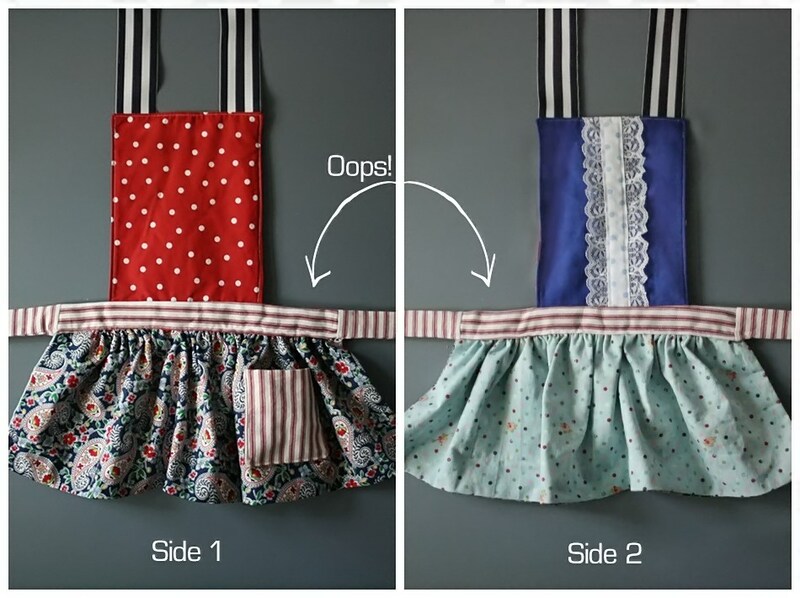 I was trying to figure out the steps of adding a top to a basic skirted apron. But what I failed to do was take time to figure out the proportions (top too high, skirt too short), I rushed as I made the waistband so the stripes are wavy, the lace trim on the front of the blue side isn't straight, and I didn't even try to figure out where the center of the waistband and top were so I could match them up. It's a few inches off. Yikes! Impatience and sewing don't mix very well. This is one of the reasons I am in awe of Palak and all of her amazing quilts. They take precision, something I'm learning. I really admire people with the patience and skills to make a quilt. I'm learning to slow down and keep my measuring tools by my side through every project. And who knows...maybe someday I'll even tackle one of the beautiful projects by Palak...like the Crinkle Quilt. What about you? Do you love to measure...or just eyeball things like I do? Elisa, thank you for sharing (and the kind words)! In the end, the aprons turned out cute. really cute. I almost didn't let her post because the aprons turned out so cute. But... she changed my mind with an amazing offer for MIH readers. She's offering us 30% off of the Apron Pattern when we preorder at her Etsy site! Use the coupon code HANDMADE. Head on over to Charming Doodle and give Elisa some comment love!